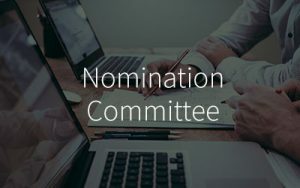 The primary objective of the Remuneration Committee (“Committee”) is to establish a documented, formal and transparent procedure for assessing and reviewing the remuneration packages of Executive Directors, Non-Executive Directors and Principal Officers that link rewards to corporate and individual performance. The members of the Committee shall be appointed by the Board from amongst the Directors of the Company and shall comprise of at least three (3) members, consisting wholly or mainly of Independent Non-Executive Directors. The Committee shall elect a Chairman from among its members. The Committee is authorised to seek any information it requires from any employee of the Company to perform its duties. The Committee is authorised to call for any appropriate person or person to be in attendance to make presentations or furnish or provide independent advice on any matters within the scope of responsibilities. The Committee is authorised by the Board to obtain, at the Company’s expense, external legal or other professional advice on any matters within its terms of reference. The Committee shall review and recommend to the Board the framework of remuneration of the Executive Directors and Principal Officers, considering the performance of the individual, the inflation price index and information from independent sources on the rates of salary for similar jobs in selected group of comparable companies. The Committee shall review and determine the annual salary increment, performance bonus, and short term/long term incentives (including share grant and bonus) for Executive Directors and Principal Officers depending on various performance measurements of the Group. The Committee shall review and determine the other benefits in kind for the Executive Directors and Principal Officers. The Committee shall review the Group’s compensation policy and ensure alignment of compensation to corporate performance, and compensation offered in line with market practice. The Committee may recommend the engagement of external professional advisors to assist and/or advise the Committee and the Board, on remuneration matters, where necessary. ** Subject to shareholders’ approval in the general meeting, the Board determines the level of remuneration of the Non-Executive Director of the Company. The review of the remuneration of the Non-Executive Director should take into consideration fee levels and trends for similar positions in the market, time commitment required from the director and any additional responsibilities undertaken such as a director acting as chairman of a board committee or as the senior independent non-executive director. The individuals concerned should abstain from discussion of their own remuneration. In the event the elected Chairman is not able to attend a meeting, a member of the Committee shall be nominated as Chairman for the meeting. The quorum for a meeting of the Committee shall consist of not less than two (2) members, of which at least one (1) shall be an Independent Non-Executive Director. A resolution in writing, signed by majority of the Committee members present in Malaysia for the time being entitled to receive notice of a meeting of the Committee, shall be as valid and effectual as if it had been passed at a meeting of the Committee duly convened and held. Any such resolution may consist of several documents in like form, each signed by one or more of the members of the Committee. The expressions “in writing” and “signed” include approval by telefax, telex, cable or telegram by any such member of the Committee. A Director may participate in a Committee meeting by means of a conference telephone or any communication equipment which allow as all persons participating at the meeting to hear and speak with each other and shall be deemed as present at such meeting.